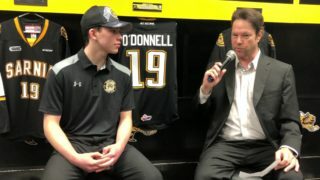 TORONTO, ON – The Ontario Hockey League released the full 2018-19 OHL Schedule Tuesday morning setting the stage for the 25th season in Sarnia Sting Franchise history. The Sting will open the 2018-19 campaign on the road taking on the defending Western Conference Champion Soo Ste Marie Greyhounds. Sting Fans can see their home team live when the Sting return home for the 2018 Home Opener on Friday, September 28 at 7:05 PM vs. the Flint Firebirds. A complete promotional schedule will be released at a later date. 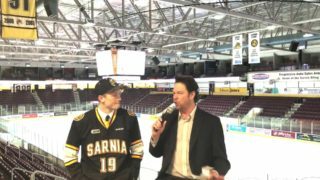 YourTV’s sixth annual Hockey Day in the OHL takes place this year on Sunday January 27 with a broadcast tripleheader that includes the Niagara IceDogs at the Windsor Spitfires at 1:00 pm, the Frontenacs visit the North Bay Battalion for a 4:00 pm start, and the Bulldogs visit the Sting to close out the day at 7:00 pm. 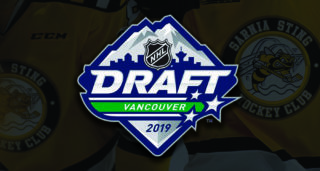 CHL Special Events not listed within the official schedule but should be noted include the CIBC Canada Russia Series in OHL markets on Thursday November 8 in Sarnia, and Monday November 12 in Oshawa. With the release of the 2018-19 schedule the Sting are now booking Group Experiences! Contact our Fan Development Team at 519 541 1717 x 2 to learn more about experiences for both adults and kids. Be sure to pick your date early as they go fast!